As the premier electrical contractor in North Texas, Lightfoot Electrical has managed to build a solid reputation and satisfy many customers throughout the years. Operating the Burleson and Weatherford areas for over 20 years, we have made sure to always place our customers’ needs at the forefront. That has meant ensuring that we have a master electrician on board, along with a full team of licensed professionals. Whether you need lighting upgrade on your commercial property or are looking for an electrician in Burleson TX for your new-build, we can provide just the services you require. From remodels to new constructions and maintenance, our highly skilled team of residential electricians will respond to your every need quickly and efficiently. Every electrical technician is fully licensed, bonded and insured, well trained and professional. Each and every one of our employees is totally service oriented and will place your satisfaction with our service above all else. We work fast, professionally and always make sure we clean the work area when we are done. If you need residential electricians in Burleson TX for a complex project, you can rest assured that we have the skills required to complete the job to meet your construction deadline. We work to a level that guarantees it will pass inspection to put your mind at ease. We also provide commercial services and offer custom electrical solutions to suit the unique needs of your business. Whether you are investing millions into a new-build project or are looking for a licensed electrician to carry out routine inspections and maintenance, we can help. Does your building still deal with outdated electrical panels? Do you require more amps? If you feel it is time for a service upgrade, simply give us a call, and one of our electricians can help. Often businesses are operating with inefficient electrical systems that are susceptible to overloading following changes in energy consumption and electronic use. Avoid disruptive outages and give us a call for an upgrade. We work hard to maintain our reputation, which is why we go to great lengths to ensure that our customers always receive the very best service from our electricians. With a code of ethics and competency built into the running of our business electricians Burleson, we help to maintain high standards throughout the company. Our local electrician’s service Burleson and surrounding areas. We are proud to have been providing quality electrical services to these regions for over 20 years with a long list of satisfied customers amassed over the years. For all of your electrical needs, give Lightfoot Electrical a call. 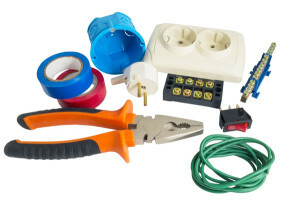 Call Lightfoot Electrical, our highly experienced electricians are on hand to serve you!